Whether the focus is on mountain sports and alpinism, landscape and environment or mountain-dwelling cultures: October’s Mountain Film Festival in Tegernsee is bound to deliver riveting images. The few winning films of Germany’s only mountain film competition will be determined by a top-range international jury of experts. Until the end of May, film makers from around the world can submit their latest productions. For a long time, the mountain world has been attracting more than the few select into their solitude – as well as into movie theatres. Mountains fascinate when encountered “for real”, however most people experience them merely on hiking trails and ski slopes. True wilderness remains reserved to a minority. If they get lucky, these daredevils return with unique images and arrange these into gripping narratives on screen, often loaded with a poignant message. They return from adventures hardly anybody wishes to experience for real. 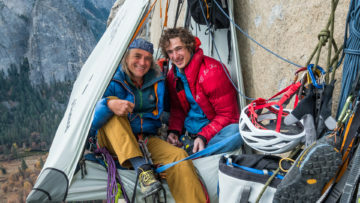 Especially when it is so much nicer to root for these heroes, to suffer and rejoice with them in the cosy safety of one of Tegernsee’s six mountain film screening venues. Here, moving fates, impressive feats and the great moments of alpinism are on show. “It is our mission to create the ideal for attracting the world’s best mountain films to Tegernsee,” explains Festival Director Michael Pause, whose team has just sent the call for submissions and invitations to the upcoming Mountain Film Festival to film producers around the world. The comfortable, intimate atmosphere of the compact City of Tegernsee, the beautiful surrounding landscapes, a diverse fringe programme and especially the international jury of renowned experts are probably the most important sales points in favour of the Tegernsee Mountain Film Festival and have by now established it as the meeting point for Germany’s mountain film scene. Once the films have arrived by the end of May deadline, the most exciting time begins for the organisational team around Michael Pause and Tegernsee’s Mayor Johannes Hagn: From all scrutinised productions a selection of the best will be arranged into a gripping, 5-day festival programme. Until end of May film makers can submit their latest productions from the mountain world. Films must not be older than four years (meaning works finished before 2016 are not eligible for the competition). The category Mountain Experience puts alpinism and sportive encounters with the mountains centre stage. The best film in this category will be awarded the Prize by the German Alpine Club (Deutscher Alpenverein). Landscape portraits and inquiries into environmental issues are the focus of the category Mountain Nature; its best film receives the Bergzeit Prize. The third category, Mountain Life, looks for films that take stock of ethnological and cultural aspects in the encounter between people and mountains. 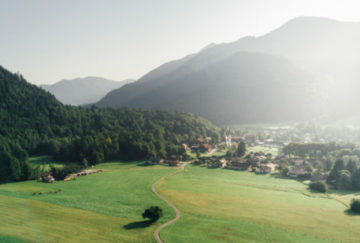 This prize is awarded by the Tegernseer Erdgasgesellschaft (Tegernsee Natural Gas). The best film across all categories will be awarded the main prize, the Great Prize of the City of Tegernsee (worth 3,000 euros). The most outstanding junior film maker will receive the Otto Guggenbichler Prize, named after the Mountain Film Festival’s founder. Visitors of the Tegernsee Mountain Film Festival in October can look forward to great cinema, a world premiere and the usual “delightful mix” of fantastic films. Here, the mountain world does not merely serve as a backdrop, but plays the lead part: as a challenging — and often also endangered — habitat for people and animals, representing the untamed forces of nature and as a brilliant setting for extraordinary achievements. Johannes Hagn (Mayor of the City of Tegernsee) is a major force in the momentum to bring critical voices on hot topics into focus in Tegernsee: “Tegernsee Mountain Film means excitement, means diversity — and this must also involve food for thought,” the mayor states. Many films achieve this of course — often in subtle ways: Who would not be moved by the little girl in the Altai Mountains who has never heard anything about climate change, yet suddenly finds herself confronted with the tremendous consequences of this catastrophe in the making? Dr. Georg Bayerle’s contributions to “Bergauf-Bergab”, Bavarian Broadcasting’s (BR) TV mountaineering programme, always have a wholesome feel. For him, what’s special need not be extreme and what’s beautiful need not be spectacular. Still, Bayerle glances with harsh rather than soft focus at mountain realities and sensitively brings grievances to the light. This not only distinguishes him as an author for Bavarian Public Broadcasting, including radio and TV formats, but also as one of the Tegernsee Mountain Film Festival’s earliest event hosts. When the team in 2015 looked for somebody to conduct the freshly inaugurated Fireside Talks, this old hand from the Allgäu was naturally a first choice as moderator. During the fourth Fireside Talk on Friday (19 October) at Stieler-Haus, Georg Bayerle will pose a question which is currently much discussed at Lake Tegernsee: Which tourism concept will win the upper hand: mass tourism or the mountaineering village? Let us cast a glance at the past as well as into the future. Over five festival days, six venues will screen 90 films, grouped into different thematic sets. Except for the nonstop screenings, each set will be hosted by a moderator who provides relevant background information. Young Adam Ondra from the Czech Republic undoubtedly counts among the world’s best climbers. In the last couple of years, Adam has won just about every imaginable sports climbing competition in the areas of lead climbing and bouldering. What impresses the initiated even more are his individual achievements on the rock. For years, he has been raising the bar of what’s possible in climbing further and further up. In November 2016 he achieved in only eight days and with breathtaking style the first repetition of the world’s hardest multi-pitch route, the Dawn Wall on El Capitan in the Yosemite Valley. The plot thickens: A few days ago, the Tegernsee Mountain Film Festival programme went into print and is now also available online. There is something for every personal taste and interest — from fascinating landscape portraits to spectacular climbing films, from environmental issues to moving portraits of strong personalities. Amazement and enjoyment, compassion and thoughtfulness — mountain films cater the entire range, from thriller to quiet art enjoyment. The list of winning films from the past 15 Tegernsee Mountain Film Festivals demonstrates this amply, and mountain film makers of the 2018 Festival shall render further evidence. A drone embarks towards new horizons, flies into a world beyond the Tegernsee mountains on the hunt for the most beautiful images — this new trailer kicked off the 15th Mountain Film Festival. On board: not only the most unique films, but also the people who used their imagination and creativity to successfully innovate narratives that enthuse their viewers and “get under their skin”. It is Wednesday evening. The first guests jostle in front of the screening venues and the jury has already completed a film-viewing marathon. While outdoors, the last mild sunrays hit, freezing cold is captured on the indoor silver screens. The decision has almost been finalised. However, jury members Helmut Scheben (Switzerland), Julia Brunner (Austria), Mojca Volkar Trobevšek (Slovenia), Benedikt Kuby (Germany) and Martin Kaufmann (Italy) would like to take a second look at some of the competing films. The bunch of nutters from “A mords Sauhaufen in a z’kloan Zelt” will therefore once more fly across the universe in their tiny tent to reach the steepest chutes. Those snowboard die-hards are sick! The jury attributes a couple of extra points. After what felt like a hundred hours in a darkened room, the world starts to look a bit different. Is that going to translate into a prize though? Even the Tegernsee festival audience has rarely been exposed to so many new ideas, deeply moving experiences and fascinating images as this year. 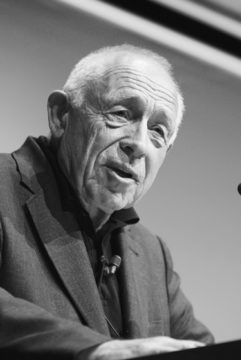 On September 12th, Tegernsee Mountain Film Festival Patron Heiner Geißler died at the age of 87. “When a person still has a smile left at the end of their life, that’s a very decent net gain.” Not only his invariably apt, memorable words will be missed — Heiner Geißler leaves the Tegernsee Mountain Film Festival with a void: as its patron, but primarily as a cherished individual and friend.